Vegan | Eat More Plants. 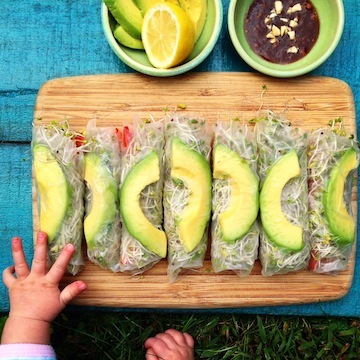 Easy to make back to school quinoa & avocado wraps for the kids (and us!). All my favorite veggies (+ mango), rolled up in SeaSnax nori = the perfect beach snack! Sushi sandwiches – my favorites way to stuff a bunch of goodies into a ball of sushi rice and wrap it tightly in nori for easy transportation to the beach. Giant Chocolate Cups [filled with creamy goodness].